“Hybrid” is the theme of Dior Homme winter 16/17, it is a combination of the idea of new wave and skate, which gives a strong sense of contemporary chic. The whole collection is created in the palette of black, red and white, personally I am a fan of red and I think it is a very exciting try for the men’s wardrobe. The new DARKLIGHT collection is a fusion between New Wave influences and the Maison’s traditional know-how. A new classic touch is created: reduced size of the historic monogram in black and grey colors give a 3D effect. 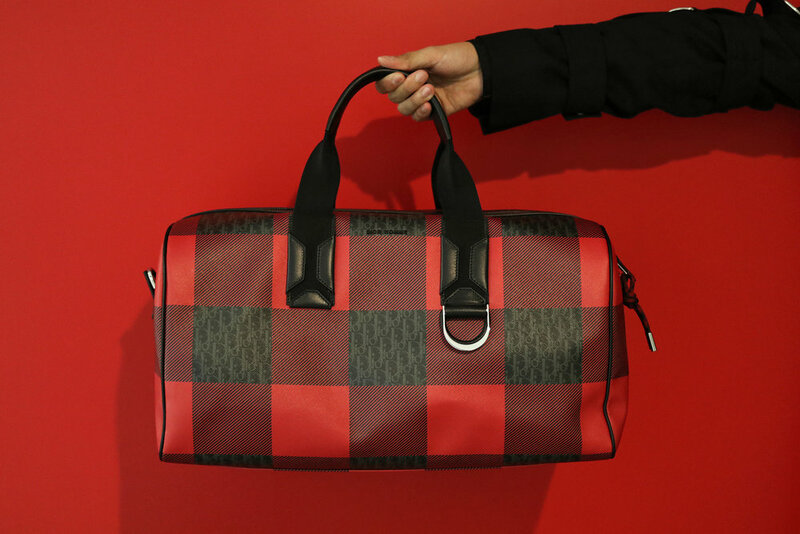 The New wave version in red and black check is a catchy love at first sight; and the tricolor embroidery on the Skate version is inspired by Skatepark Graffiti, adding playfulness and artistic touch to the classic luxurious accessories. I’d suggest my reader can boldly adding more red to their wardrobe, it is the best color for festivals but also everyday look, that can well present the confidence and unique attitude in every gentleman.